Wapiti Wednesday is brought to you by Phelps Game Calls. Phelps game calls are the best diaphragms out there. Even if you have tried to use diaphragm calls in the past but couldn’t, give Phelps AMP frame calls a try they are hands down the easiest calls to learn on. Also, the New “un-RIVAL-ed Bugle Tube” is out and available. The new tube packs a punch with great volume and tone, yet in a compact backcountry size. at only 4.5 ounces and 17.5” long this is ideal for guys packing in and not wanting the full-size bat. I am actually planning on rocking just the un-rival-ed tube this year on my Montana Hunt. Head over to PhelpsGameCalls.com fill your cart up with all the pretty colors and get Free Shipping with promo code TRO. Today’s Podcast brought to you by Elk 101’s University of Elk Hunting. The University of Elk Hunting is the most in-depth course on elk hunting you can find and it is all online. Corey Jacobsen, 10-time world champion elk caller, has put together the most in-depth, organized, breakdown of how to be a successful elk hunter. In addition to getting full access for an entire year you also get the UEH app so you can have all of the course knowledge at the palm of your hand. It’s like having hundreds and hundreds of podcast all organized and structured in one spot so you can refer back to and study up on. I highly recommend you invest in your knowledge and skills. it will pay off 10 fold in the long run. Sign up today and use code TRO10 to save 10% off your membership. Whats up everybody, welcome to the last episode of Tag Tuesday for 2018. Which is good because that just means it is closer to season. Don’t worry though we still have plenty to cover between now and fall. Next week we are starting Muley Monday, Wapiti Wednesday is still going strong and I have some killer Thursday shows coming down the pipeline. So if you get pumped hearing good hunting stories be sure to tune in to Muley Monday and Wapiti Wednesday from now through fall. Like I said it is basically the end of application season with a few stragglers still out there and now we are just waiting for results. If you didn’t get selected for the elk hunt you wanted, it is time to find a tag the OTC way or over the counter. An over the counter tag is just that, one that you can just buy without having to draw. Many states have great OTC opportunities and in this episode, Dave Barnett and I are going to break down each state based on the OTC opportunity. Dave has some great articles on goHUNT.com and we will link to those in the show notes. where you will be able to see what we are talking about in the podcast with a ton of detail. If you are looking for a great OTC elk hunt this fall goHUNT.com is a must-have tool. There is a wealth of information at your fingertips in an extremely easy to use system. If you want to get serious about chasing big bulls this is the best $100 dollars you will spend. I say $100 dollars because when you sign up with the TRO code you get $50 credit in your account to use in the gear shop. Doing your homework on a hunt can be the difference between spending a week in the mountains chasing nothing or having one of the most memorable experiences of your life. Big thanks to goHUNT.com for making Tag Tuesday happen and if your not a member yet go sign up. It is a must-have. Use The Code TRO and You will get $50 credit. Also, big thanks to the GoWild App, Brad and the guys are doing such an awesome job over there. In fact the goWild podcast Restless Native I was just on and we ended up doing a 3-hour podcast that might be one of my favorites I’ve ever done. You can check out that episode on the restless native podcast. 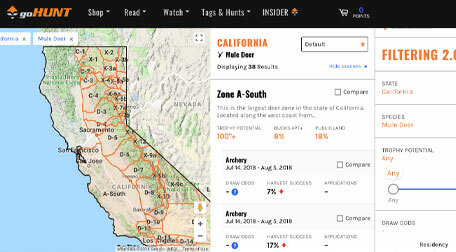 The GoWild App is the hottest new app for hunting, fishing, and the great outdoors. Log time doing your favorite outdoor activities, shooting fishing, running, or log your trophies and earn points. GoWild has a proprietary new scoring system that allows you to enter your trophies and be scored on much more than just the inches of antler. The app is available for Droid and iPhone and is 100% free. They are also constantly doing giveaways so go sign up, create an account and get entered to win some really cool prizes. Today I am joined by Shed Crazy, Ben Dettamanti. Ben is known pretty much across the internet as Shed Crazy and spends the majority of his time picking up sheds. In fact, about a year ago Ben quit his full-time job and started picking up sheds full time and building a YouTube channel. Most will know Ben through Shed Crazy on social media and YouTube but Ben is also a successful elk hunter, having taken great bulls on OTC Utah hunts. If you know anything about OTC Utah bull tags it’s that they are tough hunts and very few people consistently take good bulls off of those areas. We also talk a fair amount about hunting wallows, a tactic that gets overlooked quite often. We dive into various wallow tactics and how to utilize wallows at various times during the season. This episode brought to you by Phelps Game Calls. If you fancy yourself an elk hunter and don’t have some Phelps amp diaphragms in your bag of tools, you are not doing it right. Take it from me I have tested nearly every, if not every diaphragm on the market past and present and these things are hands down far and away the best there is. Phelps game calls are consistent which is one thing I drive me nuts about other calls. Jason Phelps the owner is an amazing elk caller for one, but more importantly he a brilliant engineer, and obsessive about quality, which makes his calls consistent and super high quality. If you haven’t been able to use a diaphragm call before, first off you need to learn, and second buy yourself a few amp frames to learn on these are far and away the easiest calls to learn on. I don’t care what anyone says being able to call will make you a better hunter. doesn’t mean you gotta call all the time, but having the ability can mean the difference in a week-long hiking trip and eating elk steaks all winter. I prefer the latter. Phelps Game Calls are finally in stock again, but you better order fast because last year they sold out of a lot of reeds before the season. Get free shipping on your order with the code TRO. Go get you a pile of reeds and start practicing now! This episode brought to you by OnX maps. OnX is the most trusted private/ public mapping system available and any more I don’t go anywhere without my OnX maps. The OnX Hunt app available on your phone turns your smartphone into a handheld GPS that works with or without service. With over 400 map overlays the possibilities are endless. I love the ability to switch from topo to satellite, to hybrid modes, allowing you to see actual terrain thickness. The OnX hunt app allows you to share locations with your buddies extremely easily and I find myself using this feature all the time. You can also log into your OnX account from multiple sources allowing you to scout from your desktop or tablet and explore with confidence with your smartphone or GPS. On X membership is a must have for any serious western hunter. Hunt with confidence and know where you stand with an OnX membership. Save 20% off your membership when you sign up or renew withThe Rich Outdoors promo code TRO.